Simon's Auto Body . : Recall :. A recall occurs when the car manufacturer notifies its consumers (owners of specific models and series) that their vehicle has a “factory defect” that must be fixed and/or exchanged as soon as possible. Some recalls have safety risks, causing many times accidents, therefor, being necessary that the consumer visits a dealership as soon as they are notified of a problem with the vehicle. In the United States, the recall is notified by the manufacturer or the National Highway Traffic Safety Administration (NHTSA) through campaign ads, media announcements or correspondence to owners. 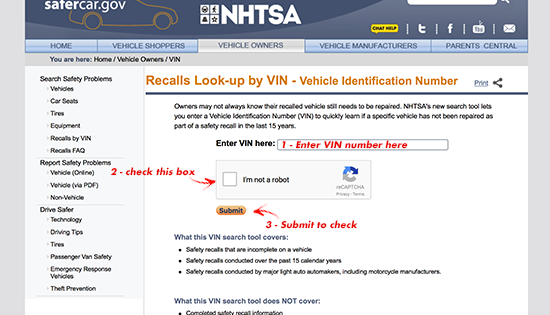 If you aren’t sure, or want to verify if there are any recalls on your vehicle, you can check this website. Click here and complete your vehicle’s recall.